School choice has been a cornerstone of the educational landscape in Edmonton, Alberta since 1974. The interplay of choice policies and practices over this period of time has led to a robust K-12 choice environment that has generated international research project in education. The evidence gathered in this study provides guidance on the design and implementation of school choice in urban settings in order to maximize its benefits and reduce the risks of negative consequences. It pays particular attention to strategies to assist those who typically do not benefit from choice: lower income and minority families and public schools experiencing declining enrolment. Commissioned by the Society for the Advancement of Excellence in Education, the research was conducted between April 2005 and June 2006 by education consultant, Patrick Maguire as part of a larger study on these issues. Three facets of school choice in metro Edmonton were examined in this research. To document the extent of choice available across the city, a profile of each K-12 sector (public and Catholic separate school districts, francophone, charter, private and homeschooling) was constructed to examine 5-year enrolment trends, program offerings, and how choice is operationalized within each. A telephone survey of 601 randomly selected parents was conducted in June 2005 by Insightrix Research to provide information on parent attitudes to choice and how they go about the business of selecting schools. Schoollevel responses to choice and the role of the school district in monitoring and supporting schools in this choice-rich environment were explored through four case studies in the Edmonton Catholic School District. These were compiled in the spring of 2006 through interviews with district officials and school principals. Two schools in the set had successfully reversed a five-year decline in enrolment, while enrolment in the other two had continued to decline. The findings from these three different levels of analyses were examined and triangulated for the practical insights they offer urban school districts on the effective implementation of school choice. The work concludes with a checklist that is intended to assist district leaders in the task of designing a choice program. Choice is undeniably a valued and successful characteristic of schooling in the city. Edmonton’s 327 schools offer a diverse array of options among six distinct providers or sectors. Despite the number of choices available, for most parents it is an intra-district phenomenon. Edmonton’s public and Catholic districts, funded on an equal footing, serve 95% of the city’s 130,000 students. 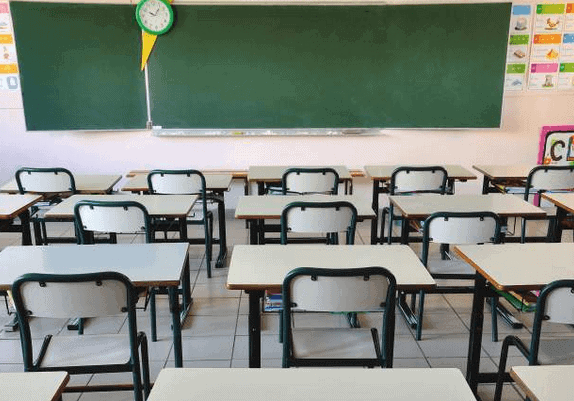 The fact that francophone, charter or private schools have not acquired sufficient mass to provide serious competition may in large part be attributed to the pro-active establishment of alternative programs by the two school districts. The survey revealed that parents strongly support the concept of choice (92%), believe that they have good and sufficient information and are active choosers, with over 70% considering more than one school for their child. They rely heavily on school reputation and place greater emphasis on quality factors than convenience in making this decision. Sixty-two percent of parents reported checking annual reports on school performance, significantly higher than the national average of 45%. Edmonton parents (91%) have high expectations for parental involvement in their chosen schools. Lower income and minority parents are less likely, however, to feel they have sufficient choice, be comfortable approaching school authorities, have the resources to acquire information on choosing or accessing alternative options, and in general experience more barriers to exercising choice. Edmonton’s two school districts are purposeful in their approach to choice philosophy and policy. Evidence from both districts suggests that the provision of educational options is linked to student achievement goals. Choice is used strategically for a range of purposes: to assist schools to respond to emerging unmet learning needs, to foster innovation, to test new pedagogical practices, and to renew inner city neighborhoods where school buildings have excess space. Success is achieved through carefully designed policies, supported by an administrative structure and oversight that reflects these values. Both districts were seen to maintain firm central control over the critical issues of program approval, location, administrator selection, and admissions and transportation policies. Ongoing support to schools is provided through staff development and assistance with promotional activities. Success indicators of student achievement, enrolment, demand, and parent satisfaction are consistently monitored. The case studies also reveal the presence of school-based variables in responding to choice, with the more successful schools distinguished by three factors. Principals able to reverse declining enrolments had a strong mandate from the district to improve the school, took proactive strategies to attract students, and, in establishing focus programs, gained city-wide promotional support from the district. These cases also suggest that Edmonton Catholic schools successfully collaborate in their choice and admission policies to avoid the intensely competitive relationship that would arguably undermine the integrity of the system and induce the ‘have’ and ‘have-not’ environment. Despite these positive findings, some continuing barriers to choice were found, primarily related to admissions policies, information gaps and transportation issues. Further work is needed in these areas to ensure equal access to choice on the part of lower income families and harder to educate students. As with many other policy initiatives, the ‘devil is in the details’ when it comes to designing a choice program. The manner in which a school district approaches a wide range of decisions will determine the success or failure of choice. The Edmonton experience illustrates that the factors associated with overall school improvement can be purposefully and successfully integrated into urban choice policies.